Walking your dog is a great exercise for both of you. My pooch gets super excited when it’s walking time. Dogs love the different sights and new smells! Retractable leads, thus, provide amazing opportunity for your canine to explore more freely but there is more than meets the eye when picking the best retractable dog leash. - Curved compact design fits comfortably into the palm of your hand. - Lifetime replacement guarantee with no questions asked. - One button used to easily lock and reel in depending on which side you push. 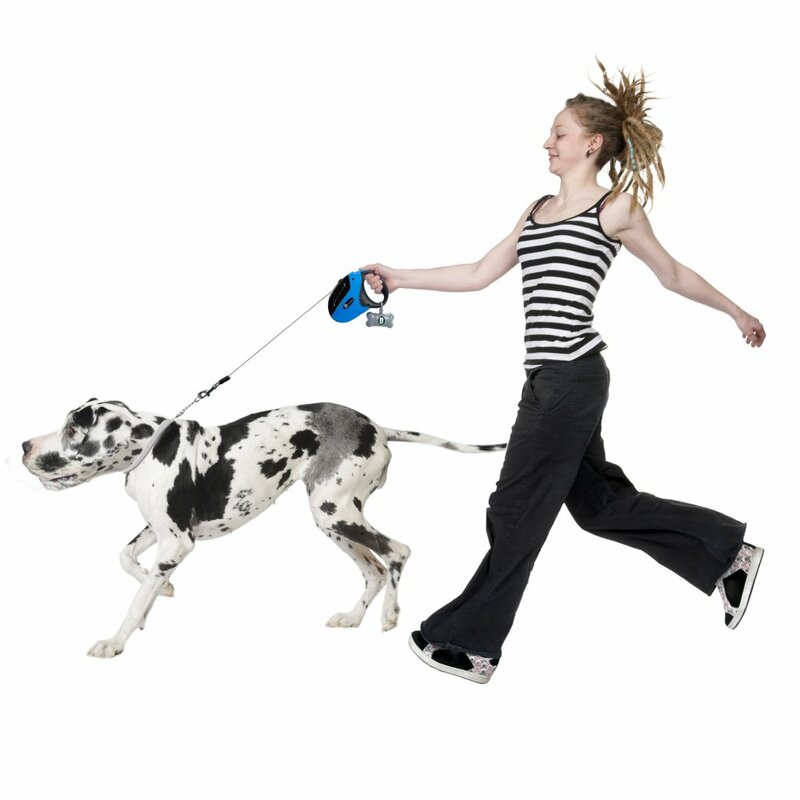 - Reflective nylon retractable dog leash for great visibility. - Palm grip made from a soft rubber to prevent slipping. - All sizes of hands can comfortably grip the handle although the design is not as ergonomic as others retractable leads. - Longer length in lead for optimal distance making it fantastic for parks or other open areas. - Extremely strong and durable. FOR DOGS: Small to Medium dogs weighing up to 120 pounds. COLOR: White with black trim. Curved compact design fits comfortably into the palm of your hand. Lifetime replacement guarantee with no questions asked. 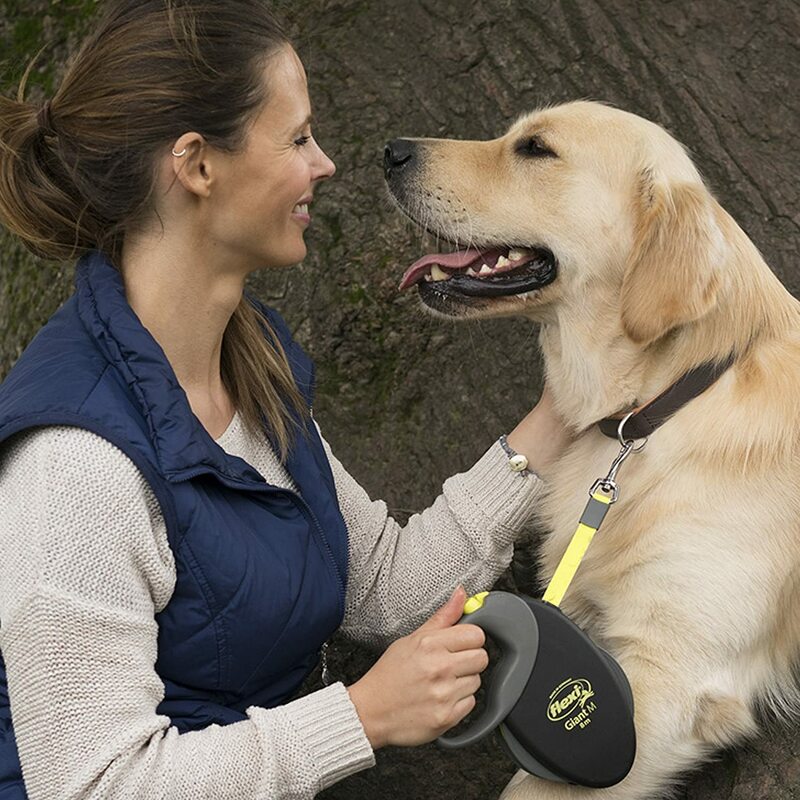 Easy Touch button for simple locking and release of leash (very comfortable & simple lock mechanism). Swivel head on clip eliminates tangling. Lightweight enough for jogger’s to clip onto belt. White exterior shows up dirt quickly. Difficult to reel back as there is no separate button for this function. You retract through repetition of the release and lock which takes a while to get used to. Ribbon leash is not very thick and can be chewed through. Tension may not be sufficient controlled with mechanism. FOR DOGS: Small, Medium and Large weighing up to 110 pounds. COLOR: Yellow and black combination. - 4 x helpful E-Books: first aid manual, dog health guide, puppy training manual and dog encyclopedia. - Cute clip-on bone-shaped dog waste bag container with 2 x additional roll of bags. One button used to easily lock and reel in depending on which side you push. Reflective nylon leash for great visibility. 100% life-time guarantee: Full refund or replacement! Hook for attaching to collar or harness is small so does not fit all brands. People with large hands or when wearing gloves have found the handle too small for a comfortable grip. Clasp of carrier for waste bags is flimsy. It falls off easily meaning you will most likely lose it. FOR DOGS: Small to Large. COLOR: Black with grey handle and two-toned leash. 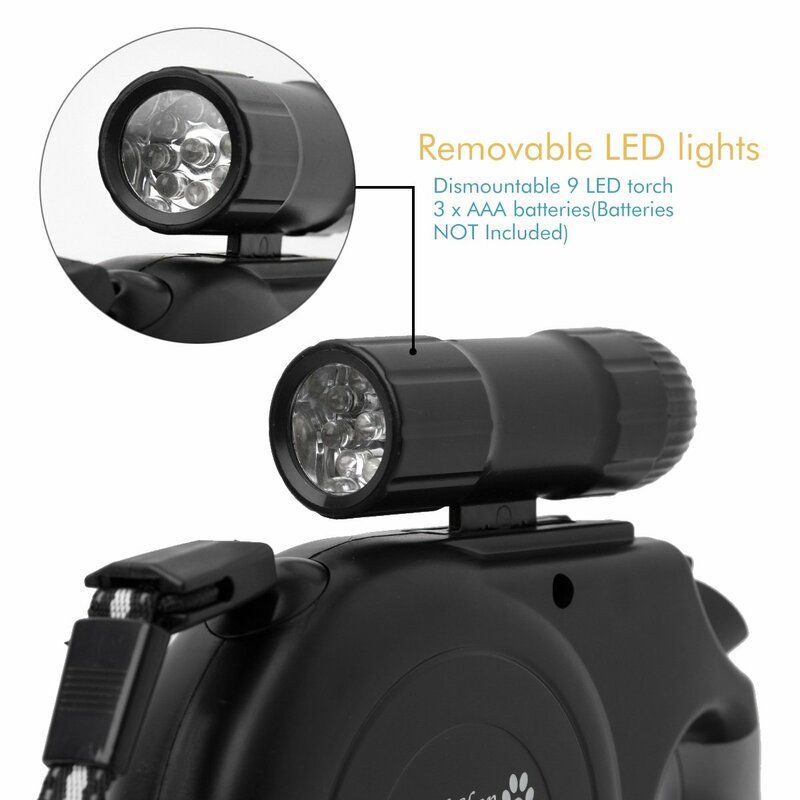 Removable battery operated torch light attaches to handle and provides extensive visibility making it perfect for after dark walks. Palm hand grip made from a soft rubber to prevent slipping. 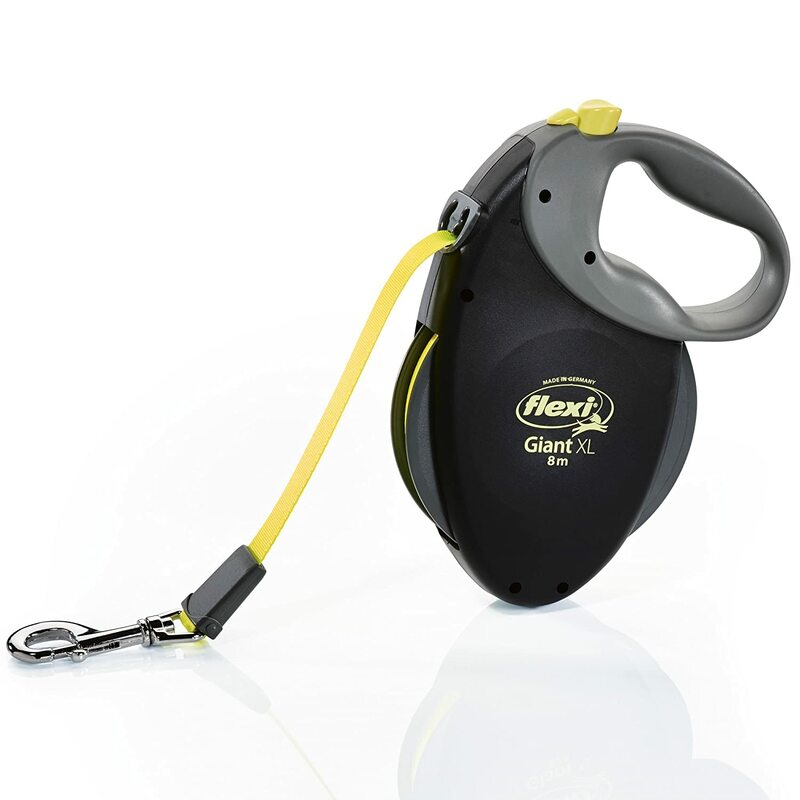 All sizes of hands can comfortably grip the handle although the design is not as ergonomic as others retractable leads. The neon lead is not as visible as one would like because it is not made of reflective material. It only features stitched in reflectors. When the flashlight is attached, handle feels unbalanced and heavier at the top. Leash tension is quite tight which some dogs may find uncomfortable. It is not waterproof. If the lead becomes wet, you need to pull it out all the way and let it dry before you can use it again. FOR DOGS: Available in 3 sizes: Medium, Large and Extra Large. 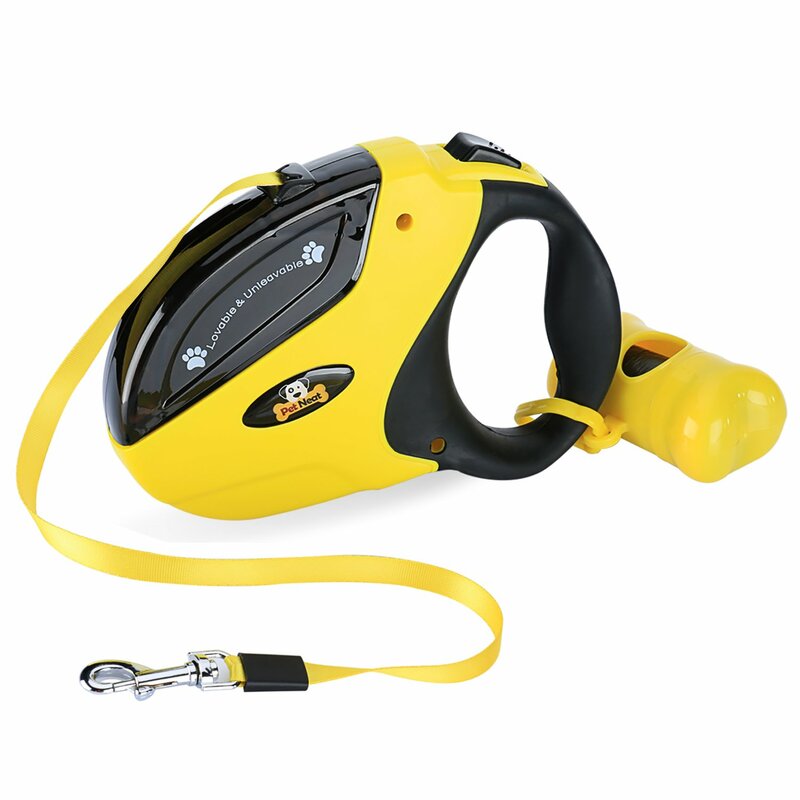 COLOR: Black handle with neon yellow leash. Longer length in lead for optimal distance making it fantastic for parks or other open areas. 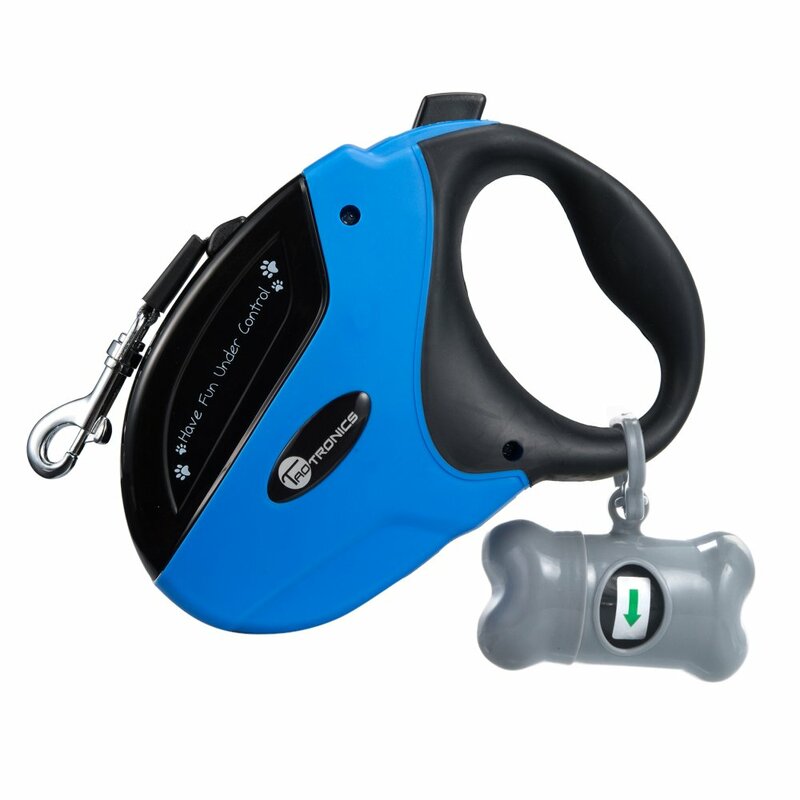 Heavy duty neon retractable leash provides optimal visibility during both day and night walks. Designed for larger breeds and powerful dogs. Nylon ribbon lead is thicker and wider than other brands and can even withstand a fair amount of chewing. Handle shapes vary depending on the size to accommodate the most comfortable grip. Button and switch for lock and release but not for retraction. This is automatic and lags at about 15 feet and over. Pricier than other retractable pet leashes. Yellow leash tends to show up dirt rather quickly. FOR DOGS: All sizes weighing up to 110 pounds. COLOR: Black and blue combination. - Adorable bone-shaped carrier for waste bags with additional bags. - LED beacon which can be set to flash. Ideal for night walking as you clip this onto your dog’s collar or the lead for optimal visibility and safety. Strong enough to withstand the force of dogs of up to 110 pounds (as promised by manufacturer). Included waste bags are thin. These can, however, be replaced with standard bags that are more durable. Handle is heavier than other leashes on the market. Does not grip comfortably for those with larger hands. Connecting clasp is small in size so may not fit all collars or harnesses. Button for braking of the leash is very stiff making it difficult to operate with only one finger (not convenient onehand braking). Is a Retractable Leash a Good Idea for My Dog? Before you even think about purchasing a retractable leash, you need to establish whether or not this will work for your dog. In some cases, you may want to start off with a regular lead first. Ask yourself the following questions and be honest. The wrong choice here could result in either injury to yourself or your best friend. Does My Dog Walk Politely? If your dog is already properly lead trained with a regular restricted leash and they are obedient when giving certain instructions, you may safely consider a retractable leash. The retractable types of leads are not advisable if your pooch has no training or does not heed your commands. Problems that could result are your dog running off into the middle of the road or being approached by another dog aggressively. The additional length provided by the leash cords of these leads places you too far to be in full control in such an emergency situation. Don’t be put off by the retractable type of dog leashes after reading the above section. If your best friend is well-behaved and you carefully consider your choice of purchase, your walks with your pet will be wonderful as he/she will have more leeway to sniff and explore to his/her doggy heart’s content. Additionally, the lead is less likely to get tangled between your dog’s legs as there is more flexibility. You control the chord a button or switch that releases, halts or draws it back in. When walking with a regular lead, I have to stop every few minutes to move the strap out from under my best friend’s body back into its correct position. 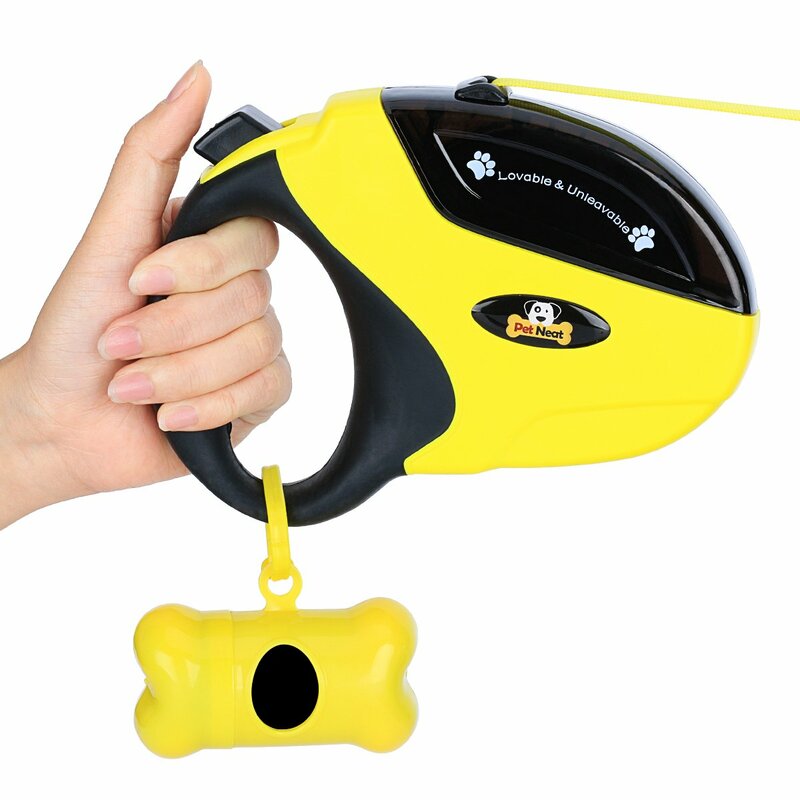 What Should I Be Looking At To Buy The Best Retractable Dog Leash? Make sure that the handle can be firmly gripped to avoid it being yanked from your hands. Try to avoid handles that are too bulky especially if you have small hands like me. Most handles come with ergonomic grip or a non-slip coating or texture. The chord of the retractable leash must be durable, thick, and strong to eliminate the possibility of snapping. Generally, nylon is used by most manufacturers. It is also best to look for a lead that is broad and flat. This shape helps to eliminate tangling. Retractable dog leashes came with different lengths of chords. The shorter the chord, the more restricted your dog will be in how far they can roam. Where are you planning on going for walks? A shorter lead are better in urban areas while an open area, like the park or countryside, permits a chord of maximum length that lets your dog wander for a greater distance from you. The spring mechanism that controls the release of the leash either with a button or switch and draws it back must be able to withstand the power of your dog. Make sure to read the packaging and manufacturer’s instruction in regards the allowable weight and size capabilities of the device. Furthermore, it must be easy for you to control this as desired. These types of leads are great if you tend to walk your dog at night or if your area is susceptible to mist or other conditions that could restrict your visibility. 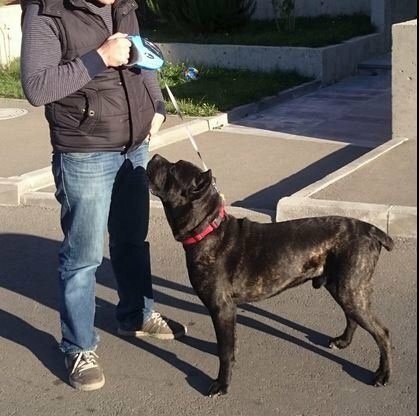 A light is built into the handle part of the lead which illuminates the way as you and your pet enjoy your stroll. If you do take your best friend out after dark most of the time, you should also look into a lead that a chord made of reflective material. Neon colored are great for day time visibility as well. Carefully consider what the needs are of both you and your best friend to assist you in choosing the best retractable dog leash. 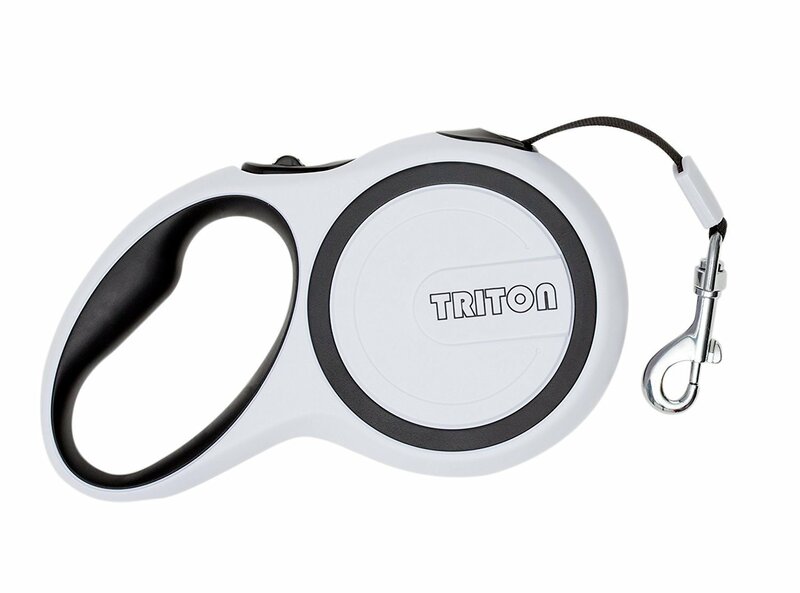 Personally, I prefer the lesser known Triton Retractable Dog Leash. My dog is on the petite side of her medium heritage and is, thank heavens as my shoes are now safe, not a puppy anymore that is prone to chewing. My hands are also small so this particular leash is easier for me to grip. I am also a sucker when it comes to lifetime guarantees, which makes the Pet Neat another worthy contestant in my books! However, if you have a dog that is more robust or larger, you should be looking at something sturdier like the Flexi Giant or the TaoTronics. 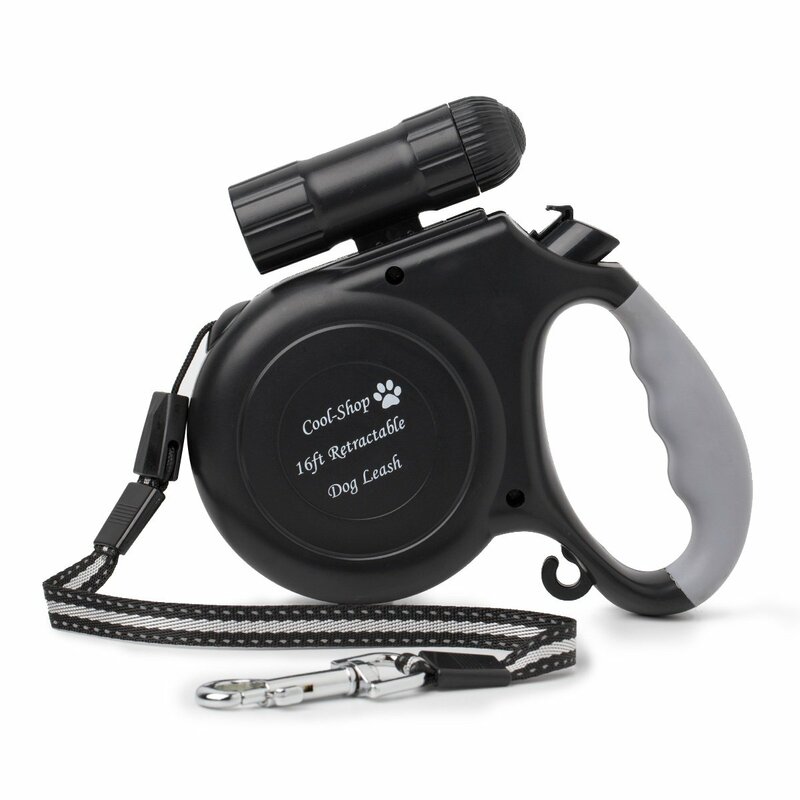 For night walkers, the detachable flashlight of the Cool-Shop Retractable Dog Leash is a great feature. Whichever one of these 5 is your best retractable dog leash; we are shared that the best will be made of this bonding experience between you and your best friend.